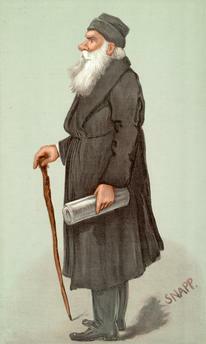 Leo Tolstoy, (Lev) Nikolaevich Graf Russian writer Jasnaja Poljana 9.9.1828 – Astapowo 20.11.1910. (Cartoon). Color lithograph, designated “Snapp”.